How do volunteers help this project? 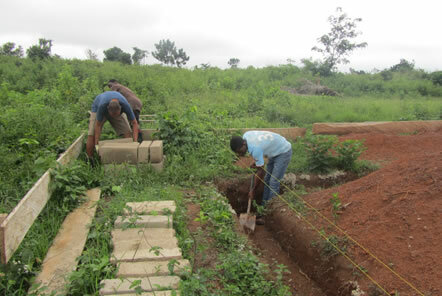 "Volunteers are crucial to this project. They help to bring down huge barriers in this community between the people here and the rest of the world. Every time a volunteer interacts with a Ghanaian, they are showing and demonstrating that we are all the same and can all work together for the better. Volunteers also bring their knowledge of the English language. Here, the people speak a local language called Tui, however if they want to work in most jobs or travel, they will need to speak English and so having volunteers who speak English around to interact with really helps our children in their future development. On a practical level, volunteers bring resources that we need and enable us to keep doing the work we are doing." What qualities make a good volunteer? "Volunteers need to be flexible! Things here are not going to go as they do back home and things will change all the time – volunteers must be prepared and accepting of this! Also, volunteers need to be able to get on a group and adjust to this environment well. Generally if a volunteer is confident, comes with a positive attitude and is willing to get stuck in then they will be a great volunteer!" Where do you hope to see the projects in 5 years’ time? "We cannot expect everything to have changed, however in 5 years’ time I expect there to be significant changes. I am sure there will be more new schools and health clinics being built meaning more children attending school and many more people having access to vital healthcare. There will be more people educated and aware of the vital importance of hygiene and cleanliness, particularly how crucial handwashing is. I hope the charity gets bigger and bigger and keeps benefitting as many people as possible!" How are the projects making a difference? "The projects are making a huge difference to this community and the other ones we are working in. Through our building schools, health clinics, wells and toilet blocks, the projects are bringing much need facilities to the people here who vitally need them. 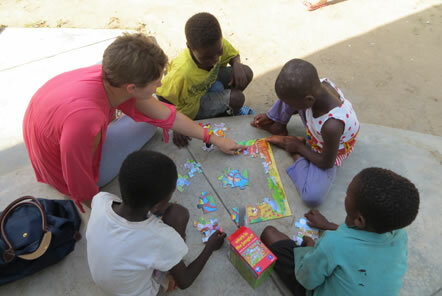 The projects that bring together volunteers and the children here are having a huge effect. Volunteers act as positive role models to both the children and the teachers, they consistently demonstrate good practice and help the community here. We believe that the most crucial years for children to develop their character are before they turn 5 years old, and so volunteers are able to help them to become more accepting people. The projects enable barriers to be broken down between the people here and the rest of the world." How do you ensure that the projects are sustainable? "To ensure all the projects are sustainable, we talk to the people. We find out what is needed from them and enable them to become invested in our community projects by asking them to contribute some time and energy – we have learnt that if the community is invested in projects, then they will take care and maintain them in the future. They will remain committed and ensure that the projects are sustainable. We constantly assess all our projects and strive to ensure they are having the most positive effect they can." What can volunteers do upon their return home to continue to help? "Volunteers can continue to support the charity by following our progress, and if they feel that they want to then donating in the future either financially or through material goods. Once volunteers have visited here they know what we need the most and how difficult it is to get things here and so these things are always welcome!" What makes Ghana special? 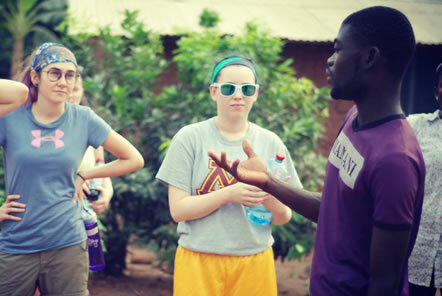 Why should volunteers choose to come to Ghana? 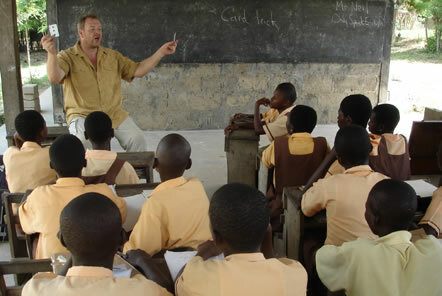 "Ghana is incredibly special! Tourists are welcomed here by everyone! The country is a colourful, soulful, peaceful and beautiful country. The people here are ready to make changes and need the help of volunteers to do this. 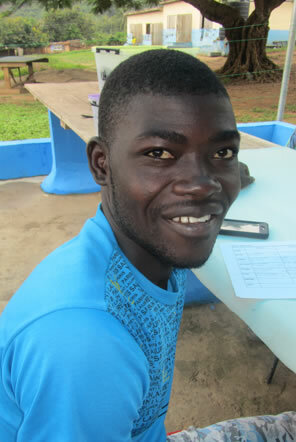 Volunteers should choose to come to Ghana because we need them! We cannot do this alone, this project needs their help. Volunteers contribute so much to our community through their help and knowledge building as well as educationally and through working with our children." Any advice you would give volunteers before they come to Ghana? "It is very hot here, very very hot – volunteers should be prepared for that! I would also advise volunteers to do their research, see if Ghana is a country that appeals to them. It is important to us that volunteers are comfortable here so they can give the best they can and thus benefit the charity to the maximum. 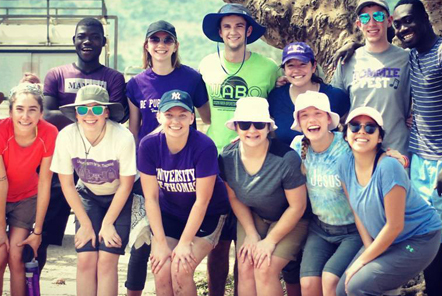 We look forward to welcoming you to Ghana!"